Weaving is extremely popular now, and we’ve just told you of some amazing woven items for wall decor. 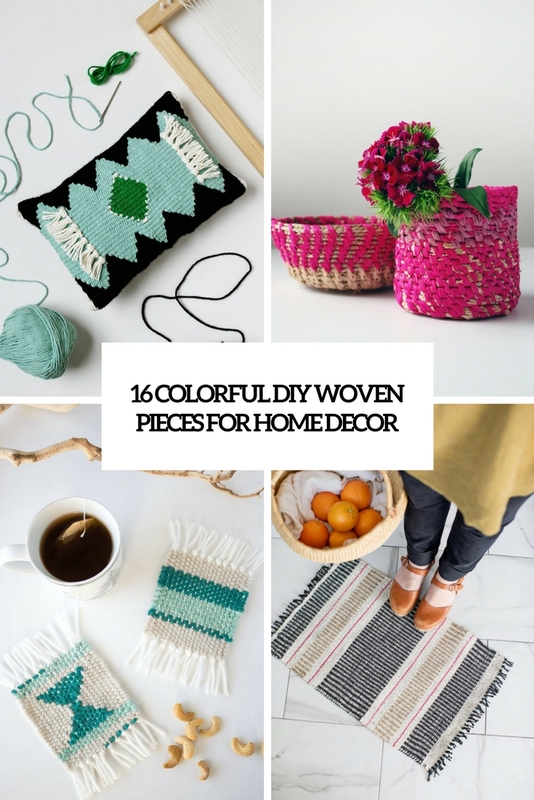 Today we’ll have a look at other ways to add weaving to your home decor: potholders, mats, rugs, coasters and other things to bring a slight boho feel to your home. Let’s start. 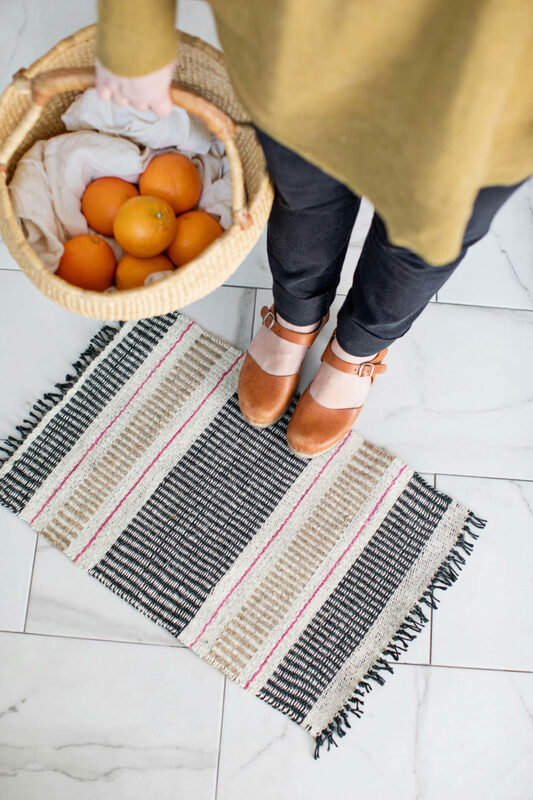 This woven jute rug is sure to add a cool traditional folk touch to your space, you may use it wherever you want – in the entryway, bathroom, bedroom or living room. the piece features striped patterns on it done with black and pink jute, get inspired and start crafting! Got a couple of old tees at hand? This is a colorful simple loom rug made of old t-shirts, it will spruce up your space and add color to it. Make as many colorful stripes as you want using various tees and your space will become bolder and cooler – a nice idea for spring and coming summer! What I love about this rug is that it features a stylish ombre color palette – from bold blue to navy, which looks interesting and stylish, not just colorful. Make the piece of old t-shirts taken in one or two colors to create that cute ombre effect. It will bring a sea-inspired feel to your space- nice for a bathroom! 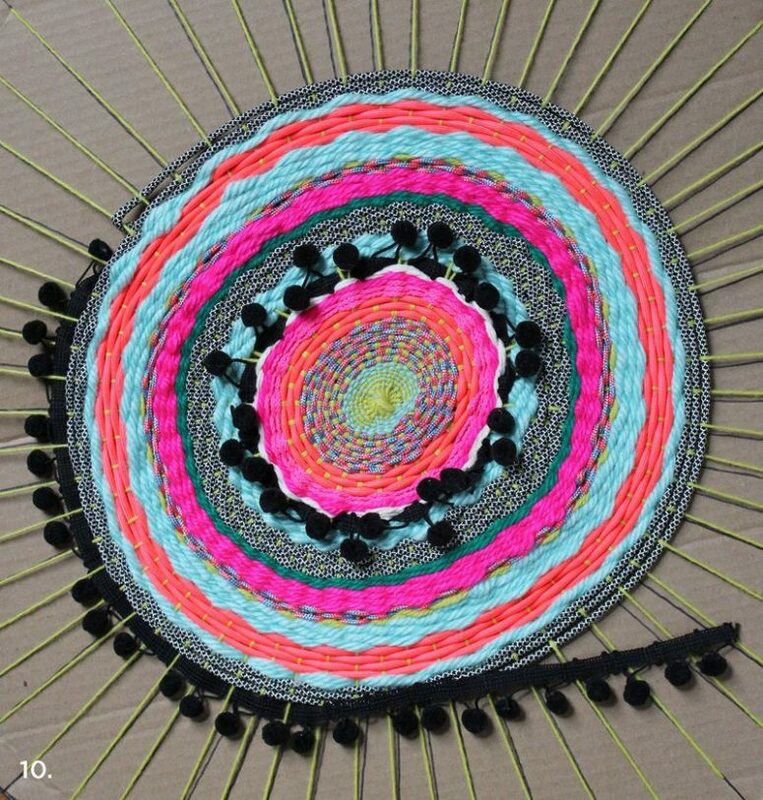 This colorful round rug is done using a hoola hoop, and it’s decorated with colorful pompoms. The piece is woven of colorful old t-shirts, so you won’t have to buy any yarn – only for pompoms, maybe. This is a great piece even for beginners, there’s nothing difficult here. Get inspired and make such a cute piece for summer. This bold and colorful rug is decorated with pompom trim and tassels, which makes it boho chic. if you have a boho space, such a piece is a must for your interior – weave it easily of colorful yarn, threads and cords adding colorful pompom trim – buy ready trims. Enjoy! 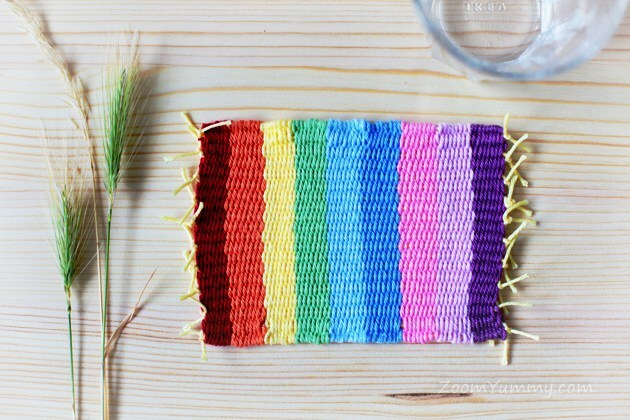 Why not weave some colorful coasters for the coming spring and summer? 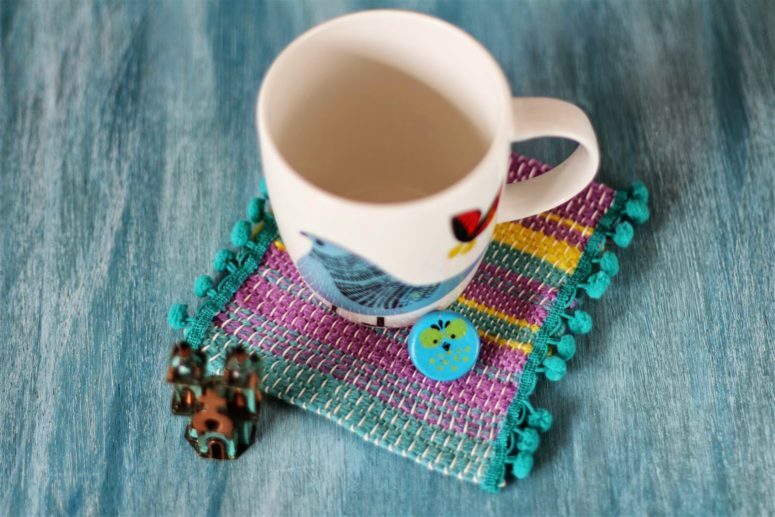 This is a great idea to try weaving, these mini coasters features cute stripes and bold colors – so nice for the vivacious seasons coming! Read the tutorial to find out how to make it. 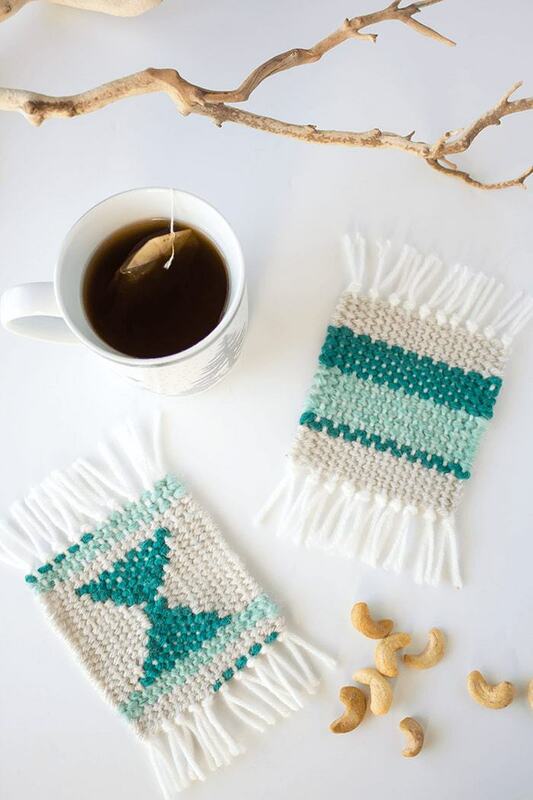 These cute woven coasters are done with fringe and show some patterns – stripes, geometric and other. Use usual cork or other coasters to find out what size you want and go for cool patterns to make the coasters cooler. They look really boho chic, especially with fringe, you may also go for tassels. 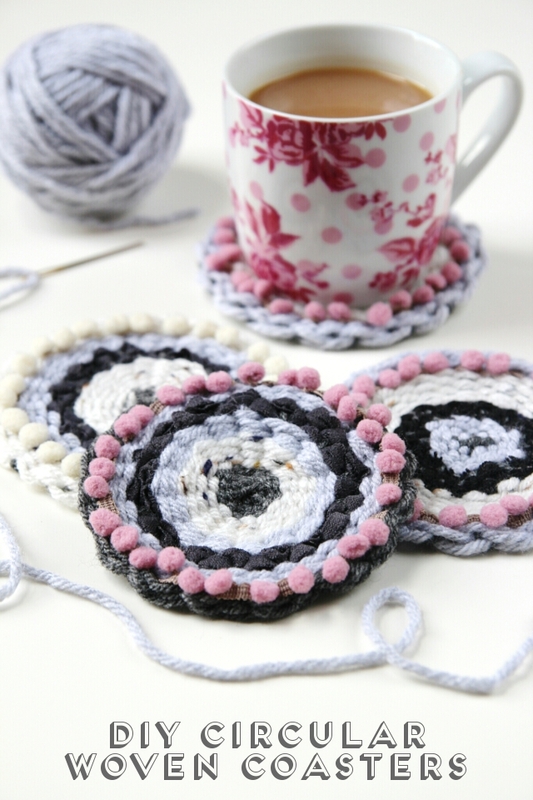 Circles are cuter than rectangles, so these cute woven coasters are right what you need to weave right now! Make them of various colors you like and add small cute pompoms right into the yarn – use ready pompom trim while weaving to make it comfier. Take contrasting pompoms for more fun! 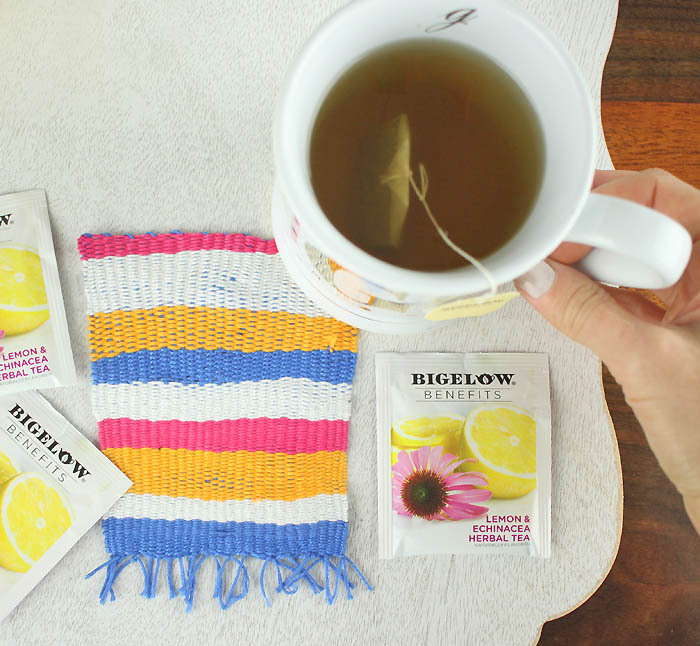 Weave some bright and colorful striped coasters with fringe for your kitchen! Such fun pieces will be great for serving drinks in spring and summer or give them as gifts. I love the colorful stripes on them – it reminds of the weekends and summer! 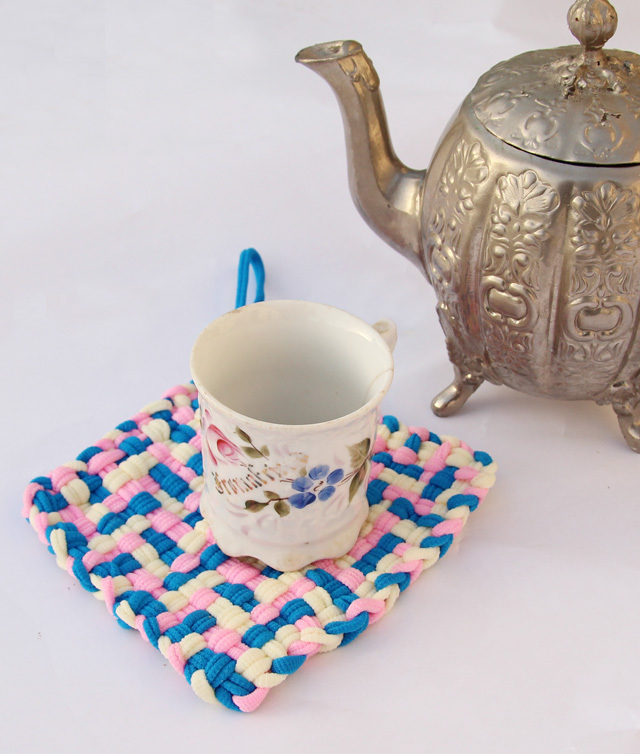 This little woven mat or coaster is a cute idea to add a folk/boho feel to your having drinks. Add colorful pompom trim on the sides of the piece and make it cuter. You may also add some beads or badges if you want, get inspired to weave these little cuties. These colorful coasters are sure to save your furniture from high temperatures because they are extra thick! They are made of colorful cord though you may use some old t-shirts, and invite your kids to take part in crafting: these are very easy and you won’t have problems with them. This pillow looks very unusual and bold – due to the weaving it features. The black and white pillow case was woven and got black fringe as an accent. This is a cute boho chic idea to rock in your space, and if black and white seem boring to you, boldly change the colors for other ones! Weave a stylish striped pillow case in creamy and grey and add a slight boho touch to your space with it. 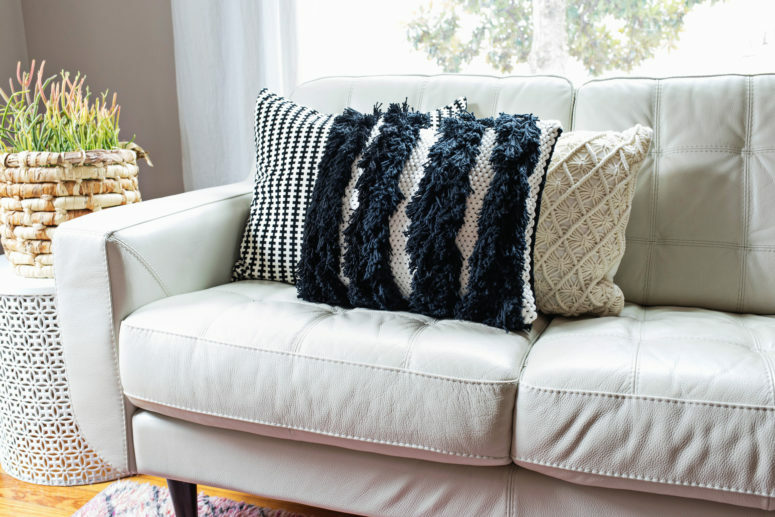 It looks very soft and neutral, and it’s woven of yarn, and to make it more boho-like, you may add tassels or just pompoms and fringe to the edges. 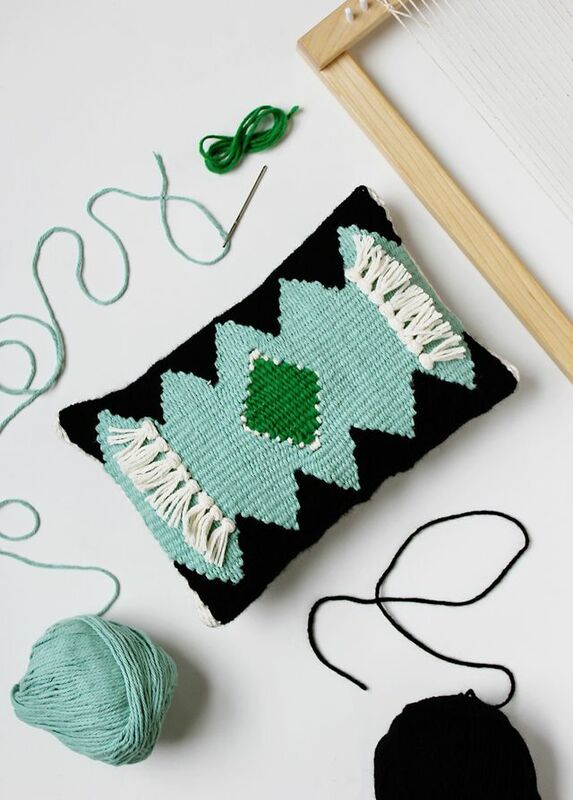 This is a bold woven pillow done in contrasting colors: black, powder blue, white and green with tassels right on the pillow, not on the edges. 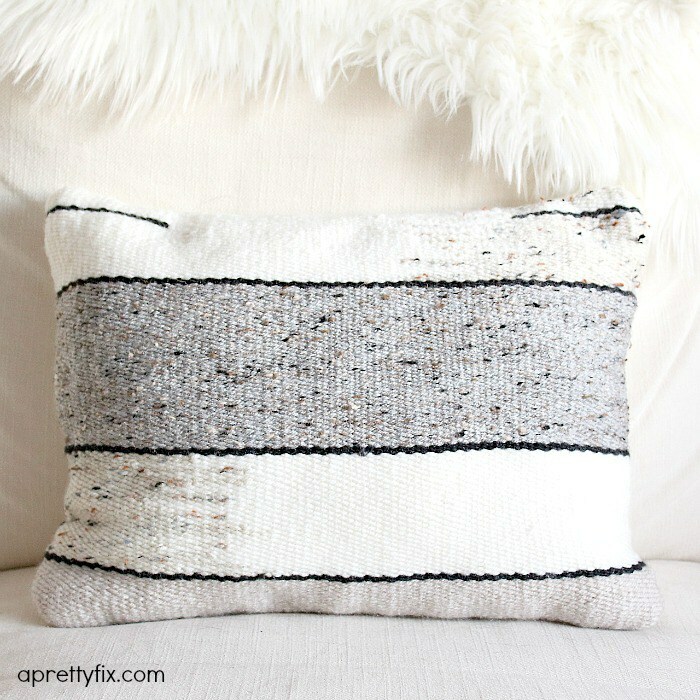 Read the tutorial to find out how to make such a cool woven pillow and be ready to spend some time weaving these patterns of yarn. 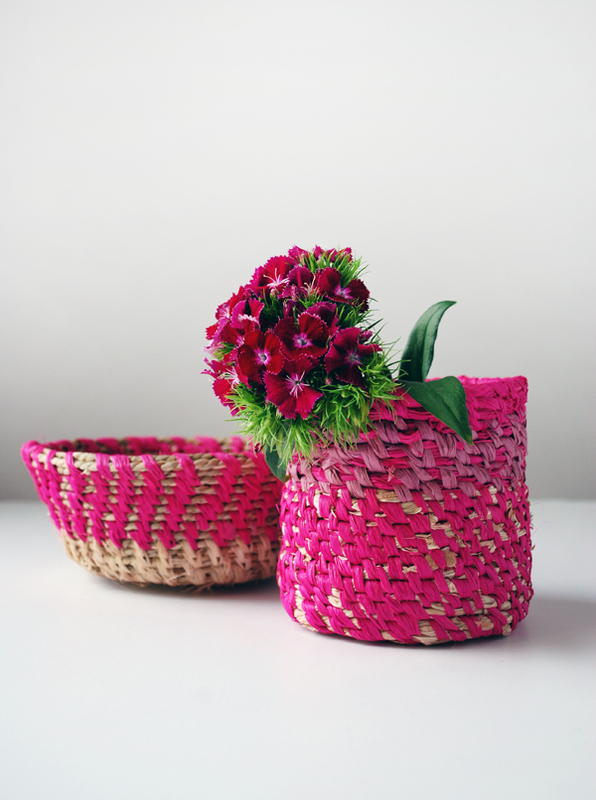 These are bold woven raffia baskets – such a cool and bold idea for decor! Pick raffia in the shades of pink to create colorful baskets or maybe create an ombre effect. They can be used for storage and displaying or as vase covers. Enjoy! 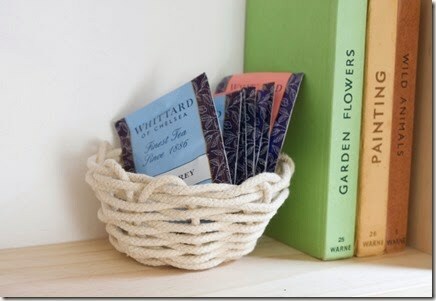 This cool natural cotton rope basket is a great idea for a coastal interior. Weaving it isn’t difficult at all – find out how to make it in the source and create as many cute baskets for display as you need.